On the international front, the bill portends trouble. The original excesses of the Buy American clauses were trimmed back, but President Obama missed a golden opportunity. Had he embraced Sen. John McCains amendment to remove the clause, he would have demonstrated bipartisanship, assured the world that America was not embracing protectionism, and still retained existing legal authority to direct some contracts toward domestic producers. Instead, Sen. McCains amendment was defeated. The remaining clause sends a bad signal, allows protection, invites retaliation and risks provoking numerous trade disputes. Except in security, where it does well, Obama’s administration’s main themes have been an allergy to addressing social issues (which is fine) and a general incompetence (which is also fine). 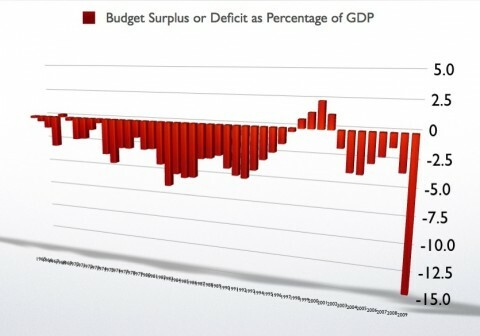 There is a lot to be said about the stimulus debate, both good and bad. Obama’s stimulus will increase our debt, of course. The stimlus was passed in a procedurally very messy way, with a crippled PDF circulated to legislators, with not even 48 hours of open comment, and with Obama using a military plane to fly in a Senator. Obama’s Stimulus will be Obama’s “Iraq War,” a controversial early decision which shapes everything else. No reference is provided, but this sounds like “Global warming advocates report that 66 of all drivers admitted to killing a pedestrian, intentionally running over a small animal, or breaking applying pressure to the car’s breaks, within the past month.” The first two are inexcusable. The third is the appropriate course of action in all cases. Indeed, there is a whole literature surrounding outliers, their detection, and treatment. Similar some Republicans, having forgot the high oil prices and resulting geopolitical instability of the summer, are mocking Harry Reid for pushing mass transit. Just as bad, other Republicans are joining with John Conyers (D-MI) to subsidize publishign companies by allowing them to charge for access to research paid for by taxpayers. Bailing out publishing companies by making science less accessible is against science, public health, and open access.